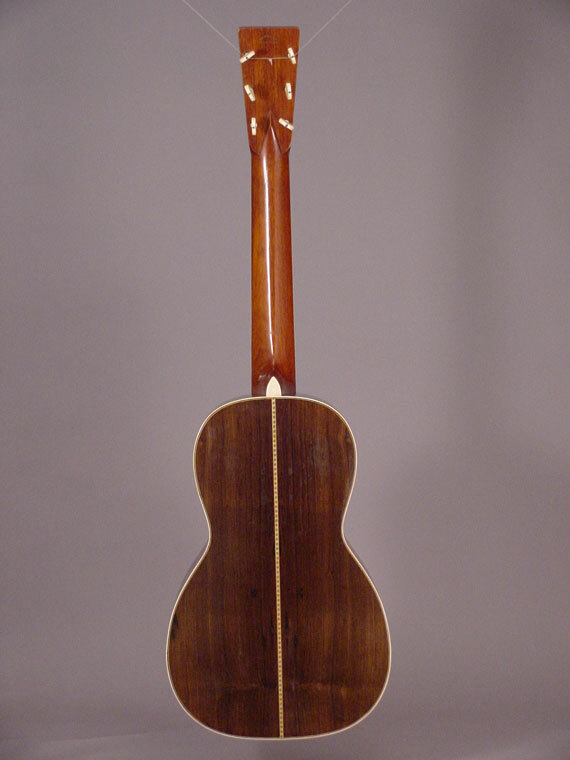 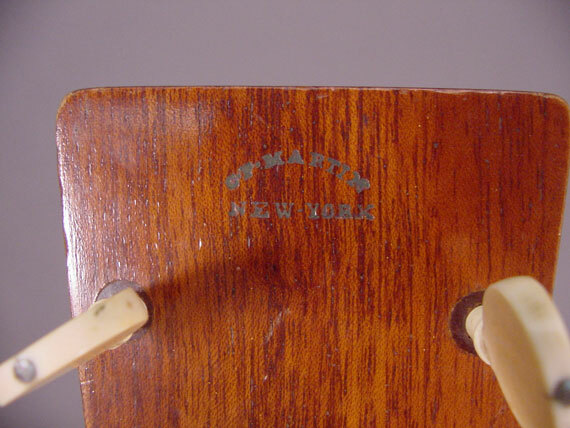 From early accounts, it's clear that Martin made many of their smaller instruments for use in the home, while the larger, usually plainer guitars were dubbed "concert" models. 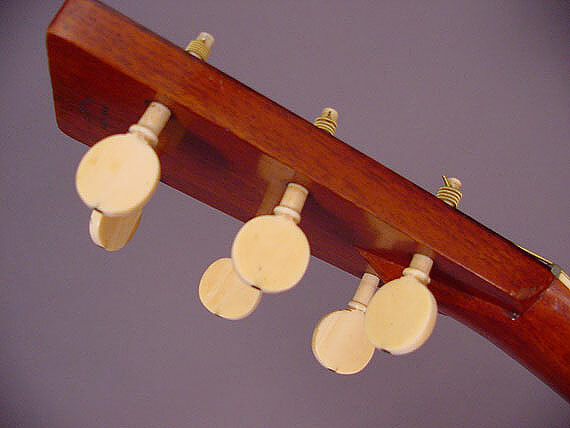 (Those larger guitars are quite small by today's standards. ) 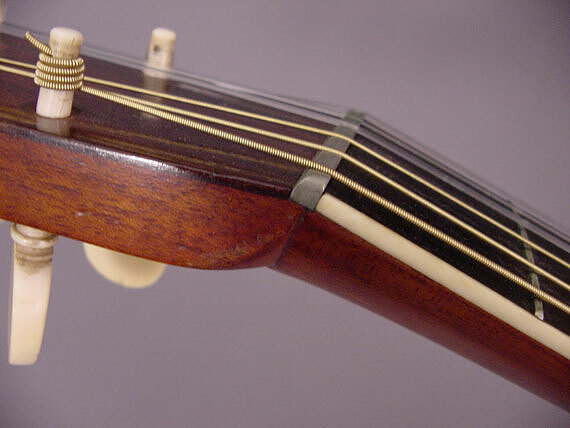 Even by the standards of the time, this is a very small guitar. 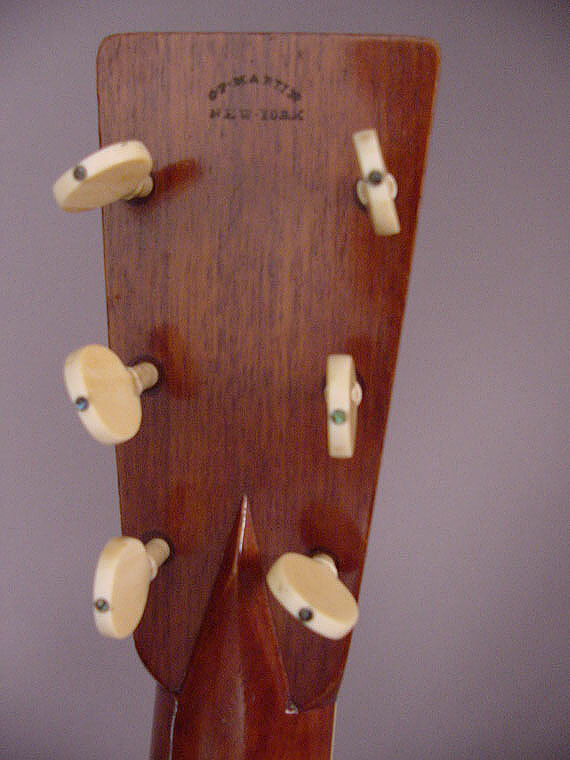 It measures 11-1/4" at the widest part of the face, and has a 24-3/4" scale. 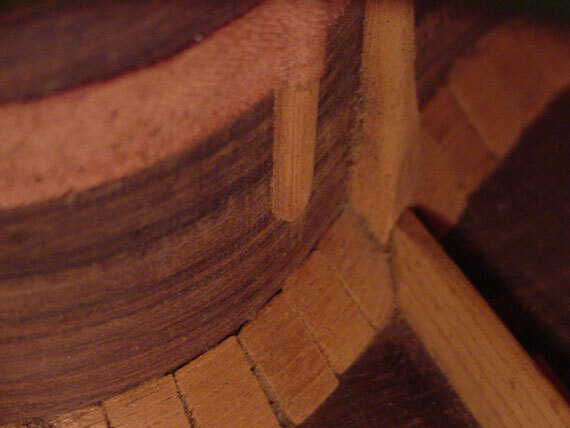 But, it is 4-1/2" deep at the end block, so it has a fair internal volume. 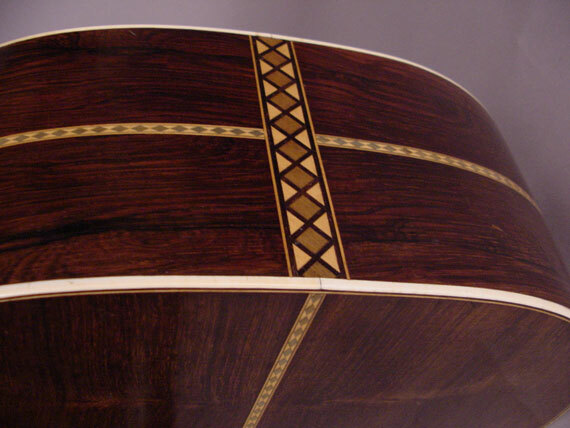 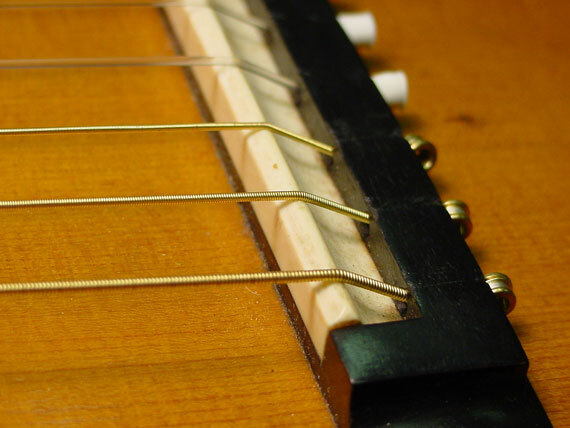 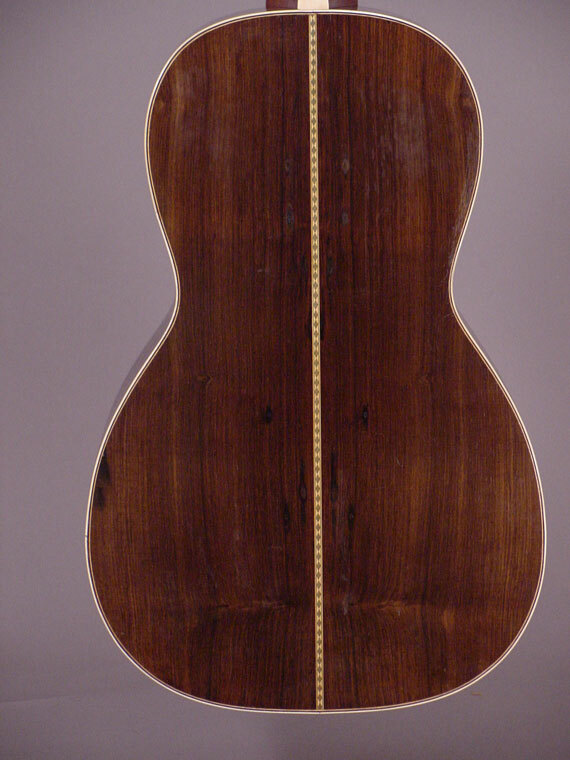 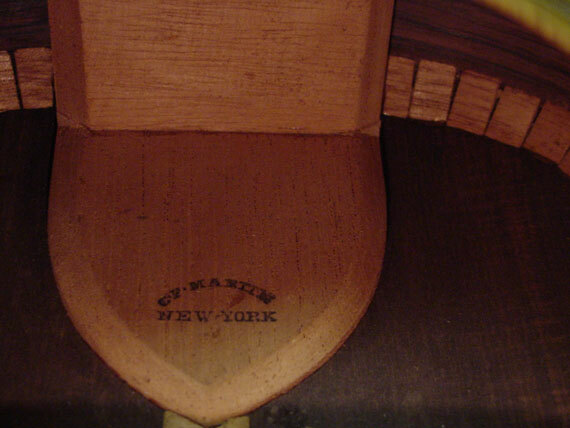 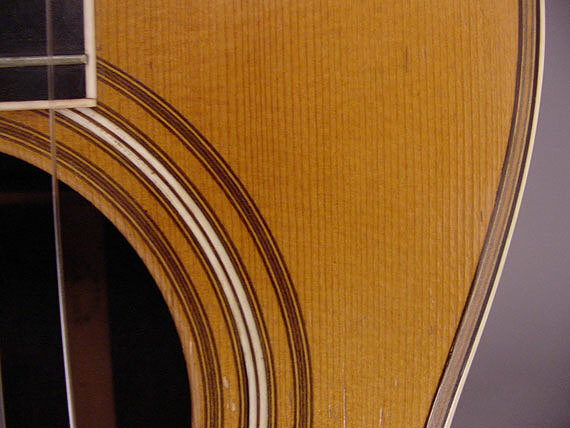 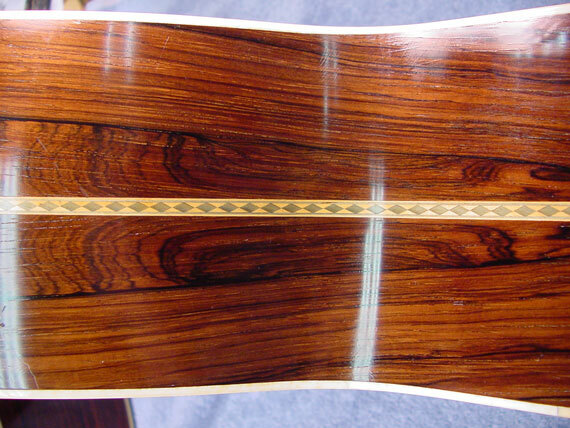 Because the scale is long for such a small body, the bridge is positioned nearer the end block than on other Martin instruments. 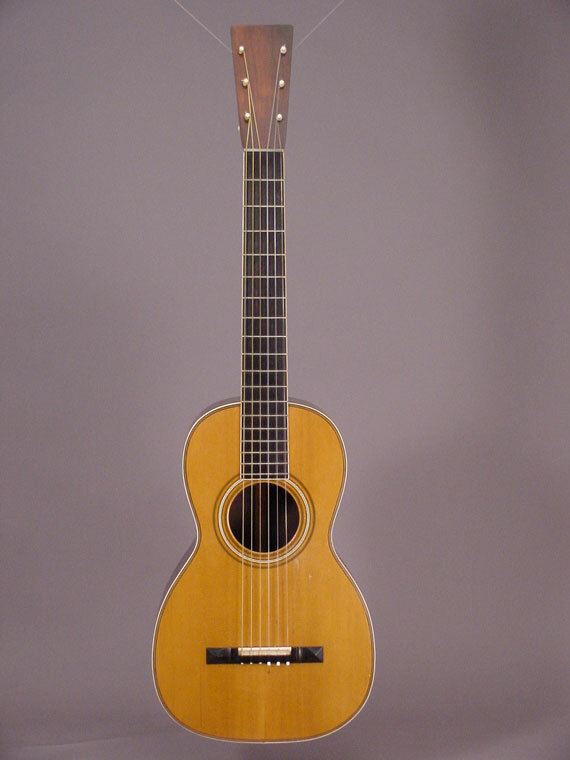 Back when this one was made, Martin was still in the formative stages of developing standard models, so it's not surprising to see the unusual combination of features. 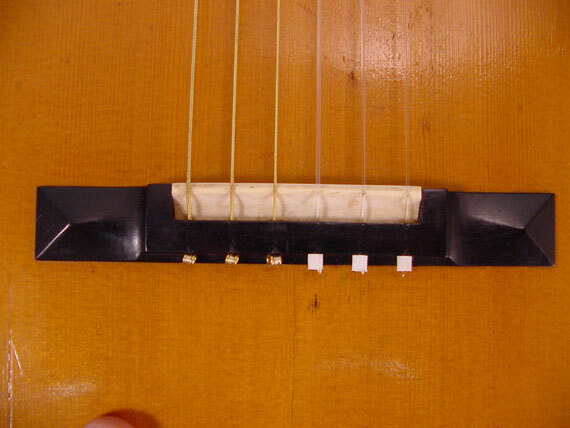 Speaking of unusual features, check the early tie block bridge with large mortised ivory saddle. 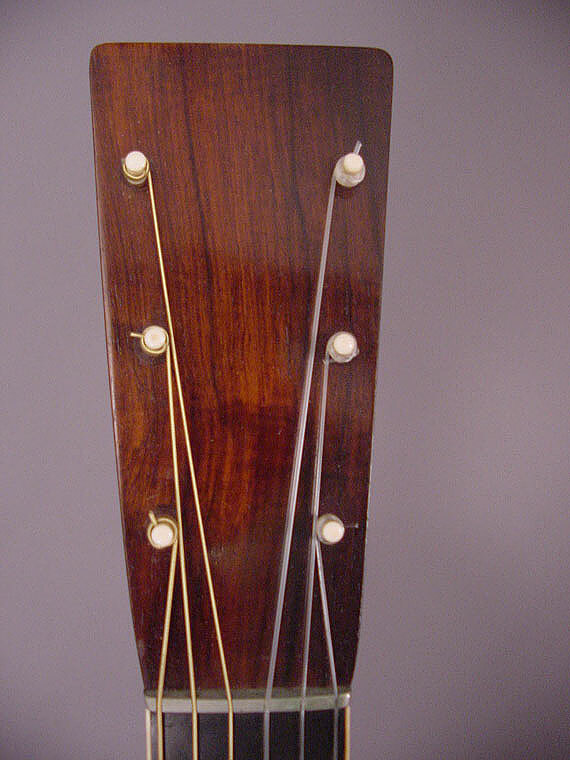 Also, notice the original nickel alloy nut, ivory binding, and side center decoration, typical of the very early Martin instruments. 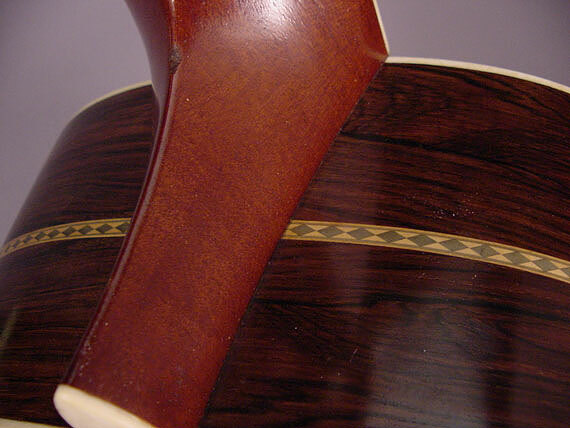 Look inside at the mahogany plate at the foot of the neck block, and the side reinforcement braces that terminate in yokes to receive the ends of the top and back braces. 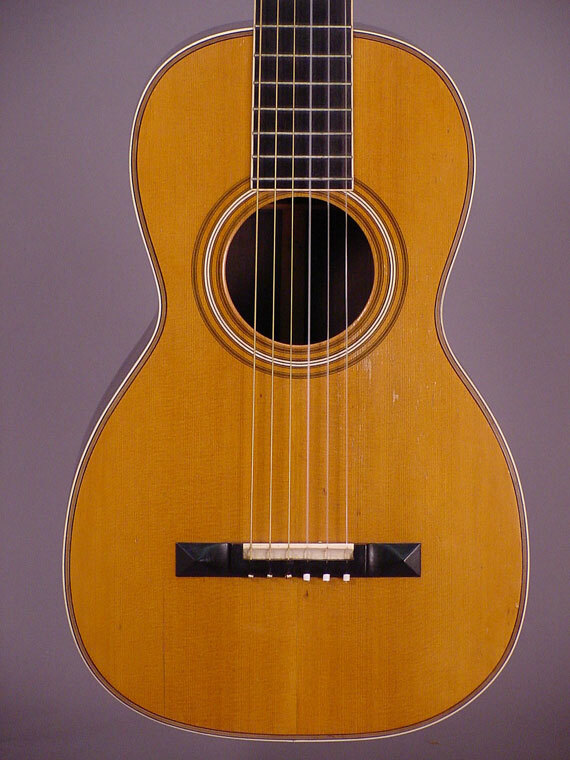 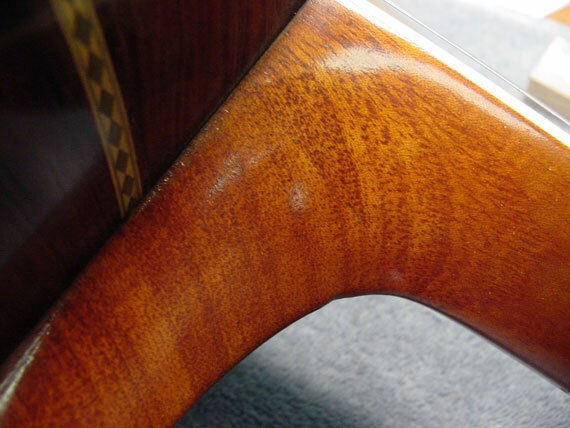 This guitar is clearly all original and in great condition, so we can use the internal details, the early bridge and body decorative styles as a means of estimating its date of manufacture.